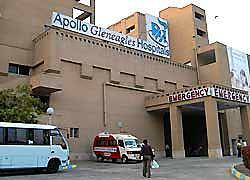 Kolkata: Apollo Gleneagles Hospitals here in the city announced the introduction of scarless surgeries in the management of thyroid cancers. The procedure called ‘Transoral Endoscopic Thyroidectomy’ has been successfully undertaken at the Hospital by Dr Shantanu Panja, ENT and Head and Neck Onco-Surgeon and his team, in what is the first instance of its kind in this part of the country. The thyroid gland, located at the base of the neck, plays a key role in the maintenance of vital hormonal balance in the body. A lump on the thyroid, accompanied by a normal hormonal profile, when detected, is therefore a source of concern, and may have to be biopsied to rule out malignancy. In cases where surgery is advised, existing methods indicate an open surgery for a partial or complete excision of the gland – resulting in significant blood loss, trauma, and permanent and distinct scarring. Transoral Endoscopic Thyroidectomy, which involves an approach through the mouth by the use of laparoscopic endoscopes and other instruments, represents a significant improvement over the traditional methods, in all cases where it can be utilized. An opening is created between the lower lip and gum to pass the instruments, and the thyroid gland is reached by going beneath the skin with air insufflation. The gland is then dissected out and removed through the mouth without any external cut, precluding the blood loss, trauma and scarring associated with the open surgical methods. “Surgery for thyroid cancer needs to be meticulous and requires considerable experience and expertise. We need to ensure preservation of the key nerves responsible for voice production, and the parathyroid glands responsible for calcium metabolism in the body.With this new technique, we can achieve these vital results, enhance the overall outcome, and ensure the best cosmetic outcome for our patients,” Dr Panja said a press meet. “Even in cases where the diseased gland is excised in time, the patient is destined to carry the visible scar of the procedure for a long time, affecting their overall quality of life. As the healthcare leaders of the region, we are therefore happy to introduce this new technique which significantly improves the outcomes for all patients,” she added.